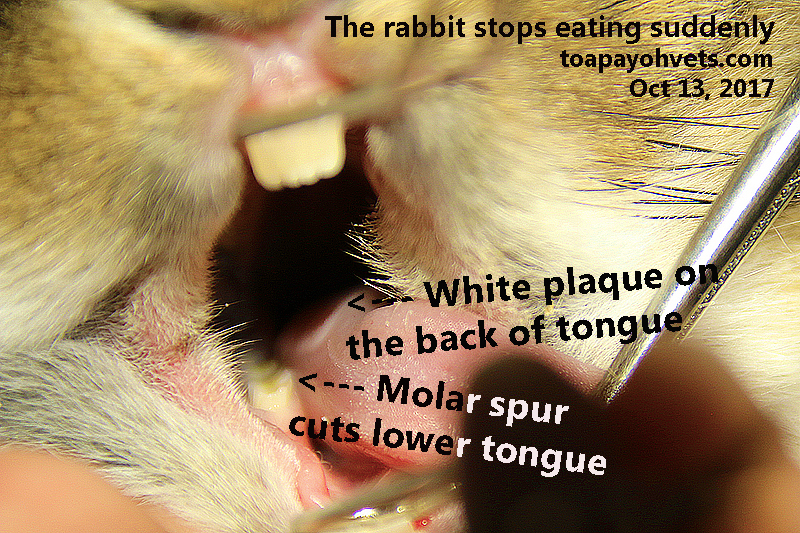 The owner came early for treatment a few hours after the rabbit stopped eating. "Likely to be dental problems," I pried open the front lips. "The front teeth are normal and not overgrown. 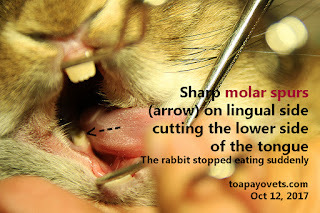 I suspect the problem is molar spurs which are sharp edges of the cheek teeth cutting the underside of the tongue. 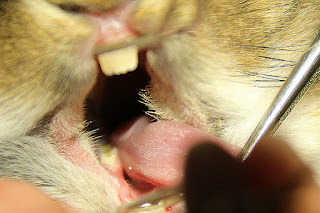 I need gas anaesthesia to examine the cheek teeth." The owner gave consent and signed the form. "I detect a small lump of around 4 mm in the abdomen and this could be hair ball. Has the rabbit been grooming excessively?" The owner was not sure. Gas anaesthesia. Dental instruments. Molar spurs on the lingual side of the tongue on both left and right cheek teeth. I got them filed. The next day, the rabbit eats and poops. The 3rd day of inpatient, the rabbit is OK and eating and pooping. Sent home. Evidence of more than 20 faecal pellets and the above images sent to owner. .